Organizers of the 2017 World Beauty Queen pageant held a grand kickoff event & press conference in Seoul, Korea. Reigning World Beauty Queen Viktoriya Jordanova Tsvetanova from Bulgaria says she is thrilled that the pageant will be hosted in Korea for the third time where she will crown the next titleholder. Tsvetanova said she is excited for what's in store as contestants will get a tour around "The Land of the Morning Calm." During the program, Kazue Oshima, the first ever WBQ titleholder from Japan said the candidates from different parts of the globe will be flown in to grace the festivities as well as participate in the pre-pageant activities that include visits to top destinations in Korea during their stay. Over 40 candidates are set to vie for the crown during the pageant night to be held on June 23, 2017 at the Federation of Artistic & Cultural Grand Ballroom of Korea. Anastasia Ryzhkova, Miss Russia, won the the pageant's swimsuit sub-competition in Korea's southernmost. maritime city of Yeosu. The contestants were judged in their chosen bikini after a round of catwalk extravaganza. 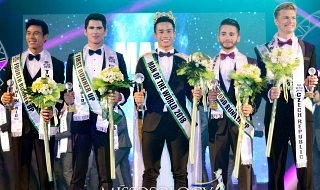 The event took place in Yeosu, where a series of activities for the pageant is taking place before the contestants finally move back to Seoul for the World Beauty Queen 2017 Finals. This year's World Beauty Queen National Costume segment was an eye-catching affair. Contestants presented their traditional costumes at the first round of the competition held at The Ocean Waterpark in Yeosu. Every national costume signifies their great pride, their historical past, and their artistry. Through their interpretations of traditional dress, we can learn what each candidates are wanting to convey. Showing elegance, beauty and style tend to be the factors to be considered when selecting the Best in National Costume. Along with the overall appeal of the women wearing their dresses and additionally providing justice to it. Who do you think deserves to win the Best National Costume award? Let us know! World Beauty Queen 2017 Meet & Greet! This year's World Beauty Queen contestants traveled to Yeosu via a cruise ship. A maritime city renowned for its pristine coastal scenery and seemingly endless stretch of coastline, Yeosu has become a rising tourist destination since hosting the 2012 World Expo, which promoted the importance of marine resources worldwide. The Yeosu govermment prepared courses for the girls that enabled them to see some of the city's major attractions. The contestants first visited the Hanhwa Aqua Planet - the second largest aquarium in Korea and is a landmark of the southern province with a record of about 1 million visitors every year. There are approximately 34,000 marine organisms of about 280 species including rare animals such as beluga (white whale) and baikal seal. Afterwards, the girls experienced Yeosu Ocean Railbike and enjoyed the views that runs along the ocean. The rail's distance is around 2.5 miles and round trip takes 25 minutes. The local government's support committee prepared a fabulous dinner party for the girls in the evening. 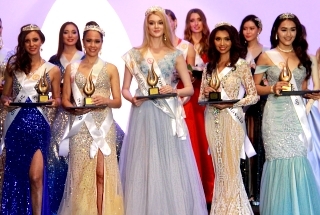 It was truly an unforgettable day for the World Beauty Queen aspirants! World Beauty Queen 2017 cruising experience in Korea! It’s an elegant competition where poise is a premium, but with all the hectic activities lined up for contestants from around the world, the 2017 World Beauty Queen pageant might as well be an amazing race for the coveted crown. For the third straight year, South Korea laid out the red carpet for the international beauties, who will face a grueling prepageant schedule that will test their stamina, patience and overall charm. A string of official photo sessions took place earlier in the day. In the evening, the contestants wore their elegant dress or gown and dined at the Raum - a restaurant for the rich & famous in Seoul. Miss Venezuela, Liz Barreto who works as a pilot is enjoying her experience in the pageant so far. "My journey is unique. South Korea is a beautiful country with warm citizens and they always makes us feel comfortable. I am very interested in learning about their culture. Knowing other countries through the other candidates has also been one of the best aspects in the contest. Everything has been great. 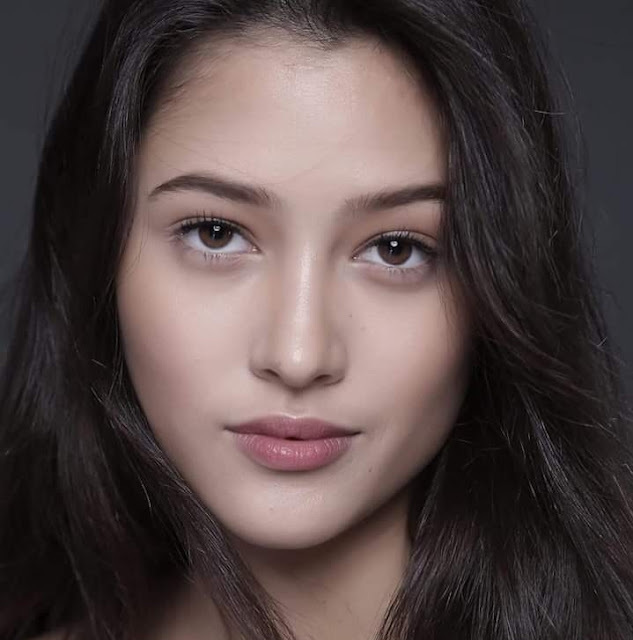 A bevy of beauties from all over the world have gathered in Seoul to compete in the World Beauty Queen pageant that will culminate in a coronation in the Korean capital on June 30. The contestants will visit various cities across the country and compete in several exciting segments during the 3rd edition of the pageant. The vision of Ricky Junghoon Jun, the President & Owner of WBQ is to bring global ambassadors of beauty together in an upscale avenue promoting different causes being supported by organization. The pageant also aims to showcase South Korea as an indomitable beauty powerhouse with "K-beauty" - reaching international cult status & phenomenon, inspiring ardour in global market and raising the bar for the worldwide beauty industry. Korean brands have had a growing influence in recent years, leading to a K-Beauty trend. 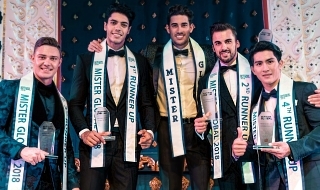 In a welcome event held at Bardot lounge bar, this year's contestants were formally presented to the public. During the program, organizers said the participants will receive countless beauty products from sponsors and will undergo pre-pageant activities that include visits to top destinations in Korea. Viktoriya Jordanova Tsvetanova from Bulgaria currently holds the World Beauty Queen crown from 2016. 35 candidates are set to vie for the title during the pageant night to be held on June 30, 2017 at the Federation of Artistic & Cultural Grand Ballroom of Korea. I heard Pawee came to my country. Pawee bish where are you? I wish this pageant would be noticed to a lot of people. Btw some other pageant organization's owner did some badmouth to another pageant organization's owner. I'm not sure that badmouthed pageant organization owner slammed this national director or not. hauteegirl wrote: Pure? Like a virgin? omhg? and the winner is a slant.. I thought only manmeat, watches pageants in korea, maybe kim.dae jung? Постоянно выскакивает реклама игрушки "Забей гол Рональдо! ".